We had a post on how to make Hana-Ami inspired paper bead flowers. 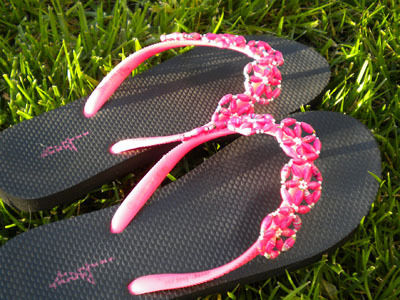 We are busy as bees making paper beaded flip flops now that summer is just around the corner. You can find flip flops of different kinds and colors and some of them have really yummy colors like this one. It matched perfectly with these fuschia flip flops. 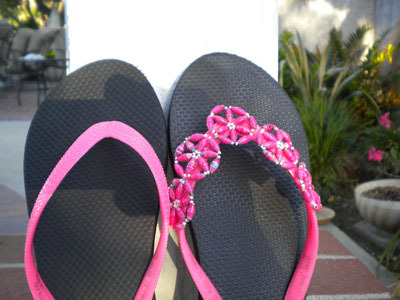 We used the olive shaped fuschia paper beads for the flowers and just glued it into the band of the flip flop. I looove how it turned out! 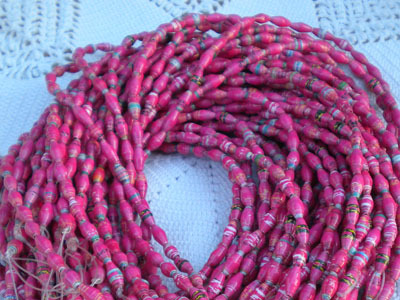 Another day of taking the ordinary to extraordinary with paper beads! 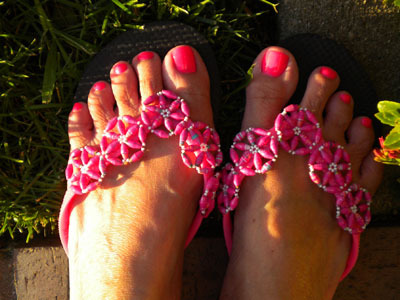 These are so cute the flip flops match the beads perfectly!